Join Gray Line for an adventure! Take a trip back to the Old West. One of Arizona's top destinations, Tombstone continues to thrill old and young alike. Our trip to Tombstone will take us through Benson and historic St. David. Upon reaching Tombstone, you will experience a re-creation of the most famous gunfight in history, the OK Corral. Watch as the Earps and Doc Holliday take on the Clantons and the McLaurys one more time. Take a walk over to the Historama and learn about true history of Tombstone (narrated by the great Vincent Price) or visit the Tombstone Epitaph. Mosey over to Boot Hill, where the country's most famous graveyard has a lot of tales to tell. 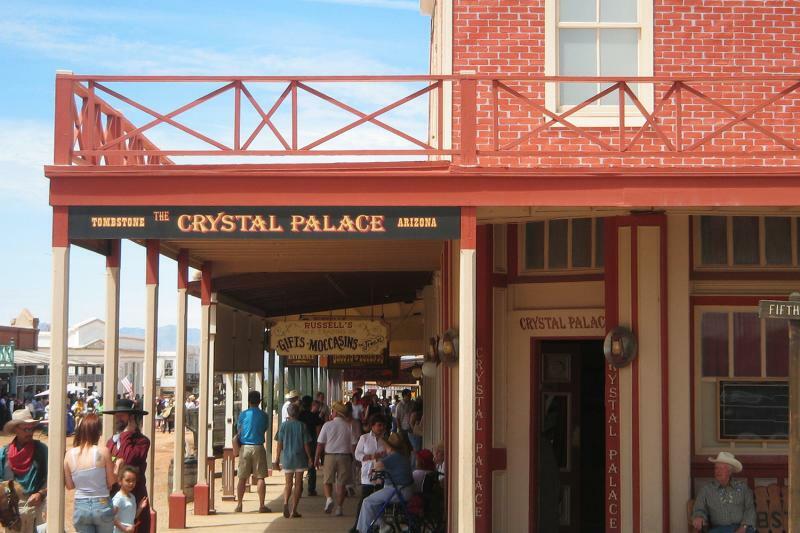 There is also plenty of free time for you to have lunch and explore all the sights of Tombstone, including: Big Nose Kate's, the Longhorn, Bird Cage Theatre, the Rose Tree, the Crystal Palace Saloon, and the Mining Exchange. The spirit of the Old West truly lives here in Tombstone! * Reenactment of the "Gunfight at the OK Corral"
* This tour requires a minimum of 4 passengers to operate. * Please call Gray Line Tucson before booking your scheduled tour to confirm operation if you are purchasing fewer than 6 tickets. * Available for small or large groups, please call for other date preferences.